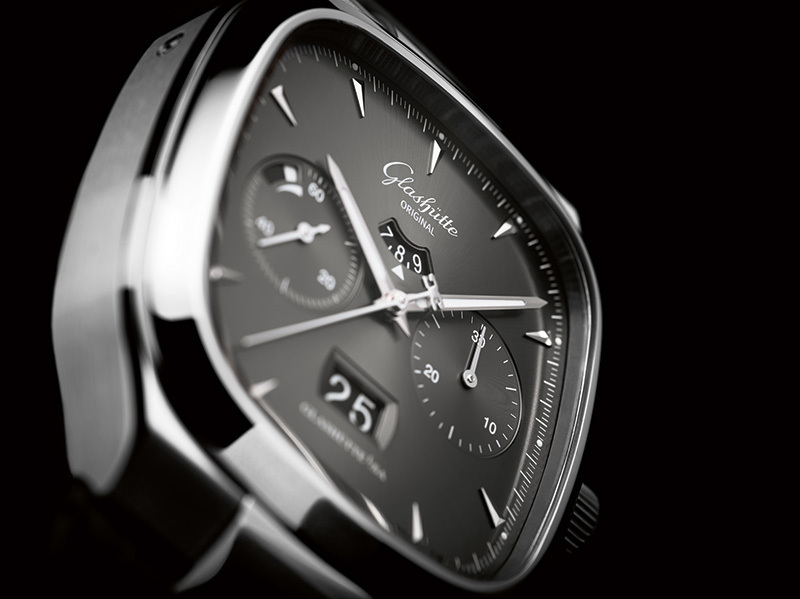 At this year’s Baselworld fair Glashütte Original triggered excitement in the world of watch experts and connoisseurs with its newly developed integrated chronograph. Now the launch of the new Calibre 37 has begun, with the debut of two exquisite new models at once: the elegant Senator Chronograph Panorama Date and the sporty Seventies Chronograph Panorama Date. Both models will be available first in the Saxon manufactory’s own boutiques and later through the watchmaker’s dealers. The new chronograph was developed to meet the manufactory’s most demanding standards of functionality and suitability for everyday use. Its fully integrated and compact construction makes it a reliable, precise and aesthetically satisfying companion. Its ease of use as well as perfectly tuned technical solutions guarantee simplicity of handling and an excellent rate precision. The new movement is a persuasive piece of work, its distinctive attributes designed and integrated to form a unique synthesis. The manufactory-made 4Hz automatic movement assures maximum functionality through its efficient and reduced method of construction. 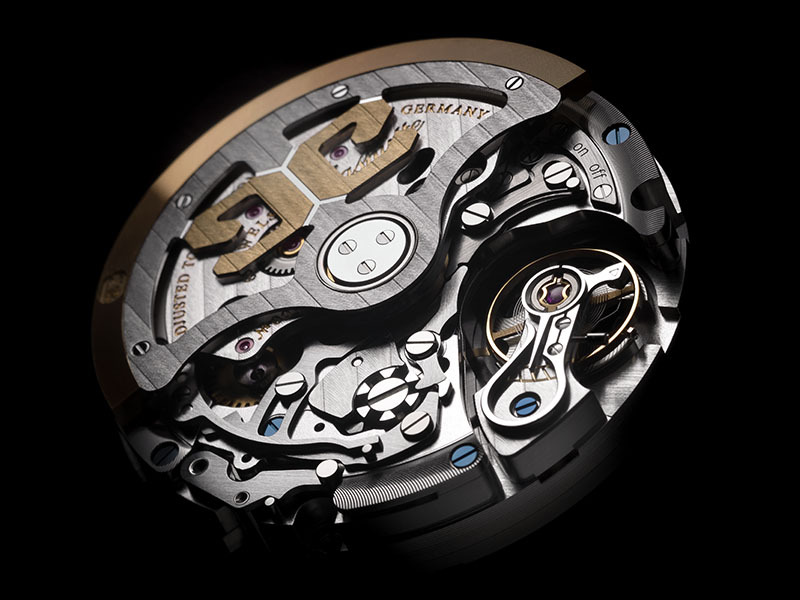 An example is the switch lever; in the new chronograph, in contrast to previous designs, it is comprised of only one part. The new movement thus guarantees the highest possible switching security, with room for error and susceptibility to interference effectively reduced to near zero. The chronograph’s reliability is enhanced by the space-saving coupling clutch, which operates by means of an oscillating pinion. It was designed to travel the same short path when both engaging and disengaging the clutch. Sophisticated technical solutions assure the new chronograph’s particularly high degree of precision. 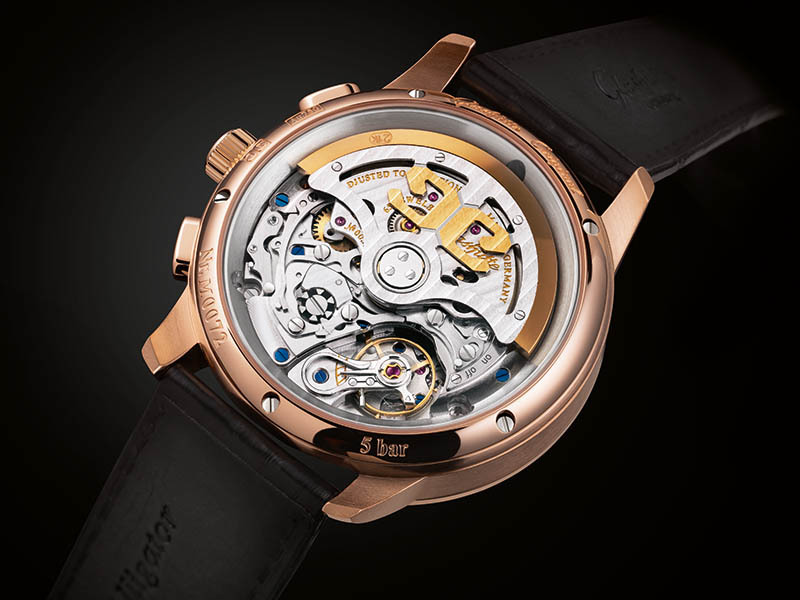 Adjustment is handled without a regulator using four gold screws on the balance wheel, which permits a continuous and thus more precise performance of the watch over an especially long period of time. 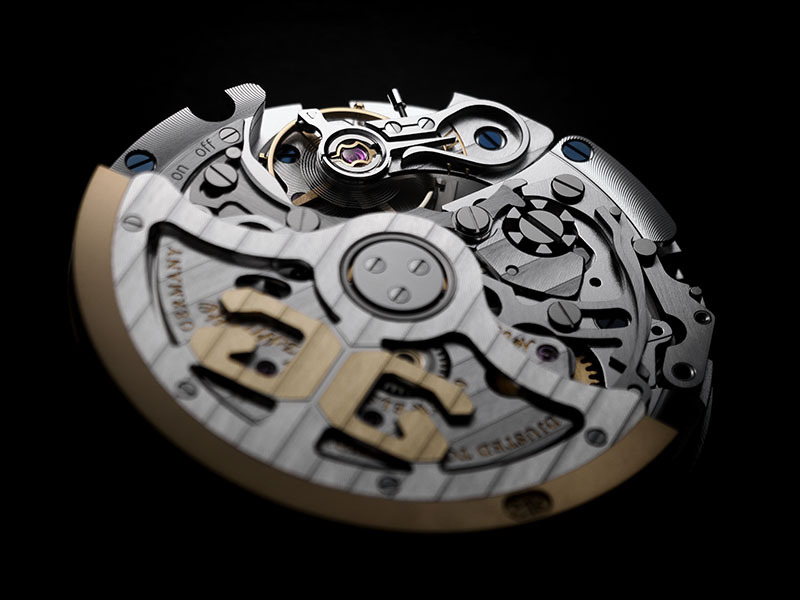 Numerous other components and functions underscore the new Calibre 37’s reliable precision. 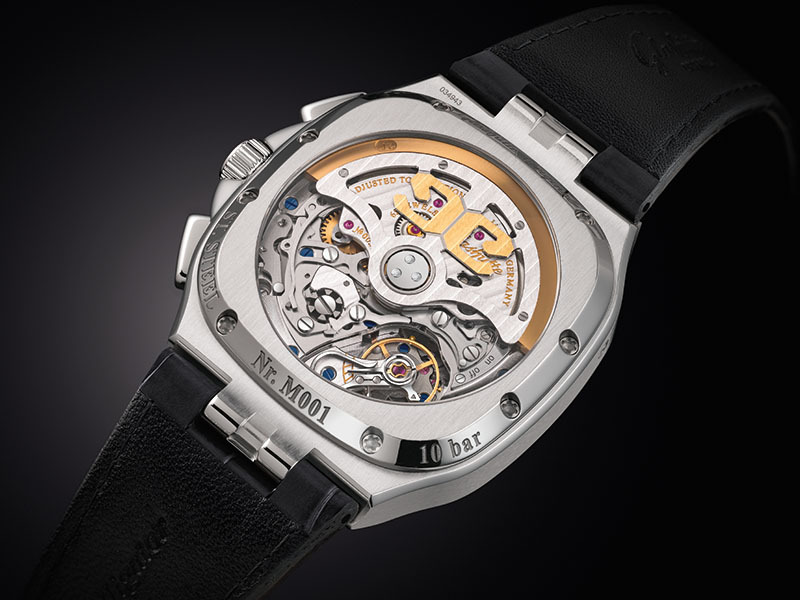 With a power reserve of 70 hours when fully wound, the new automatic Calibre 37 represents an absolute peak value in the realm of mechanical chronographs. In order to keep the performance and amplitude stable over the entire period of time, a new oscillation system with low energy requirements was developed, managed by a single spring barrel. Optimal translation between spring barrel and oscillation system assures very solid and precise performance with no deviations over 70 hours. 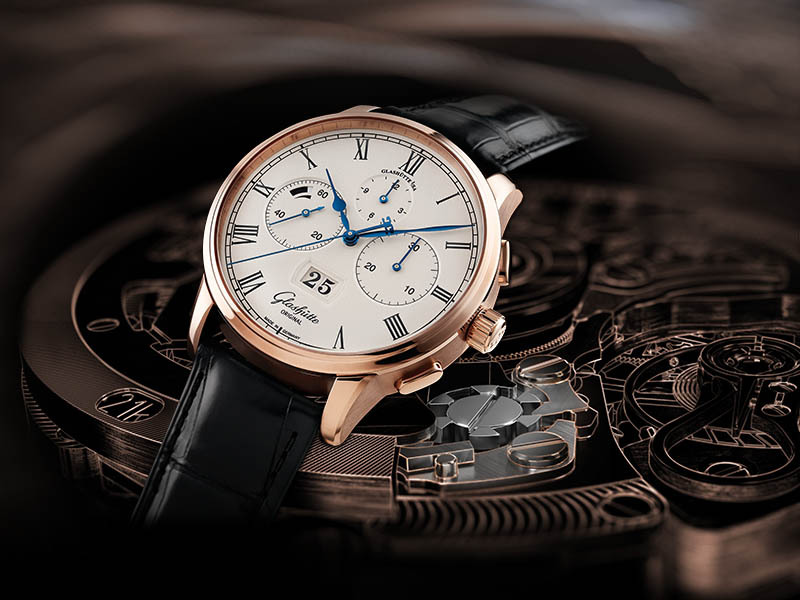 The new chronograph calibre celebrates its debut in two exquisite, very different models, each with its own particular style: The Senator Chronograph Panorama Date presents a classic appearance in either red gold or platinum. 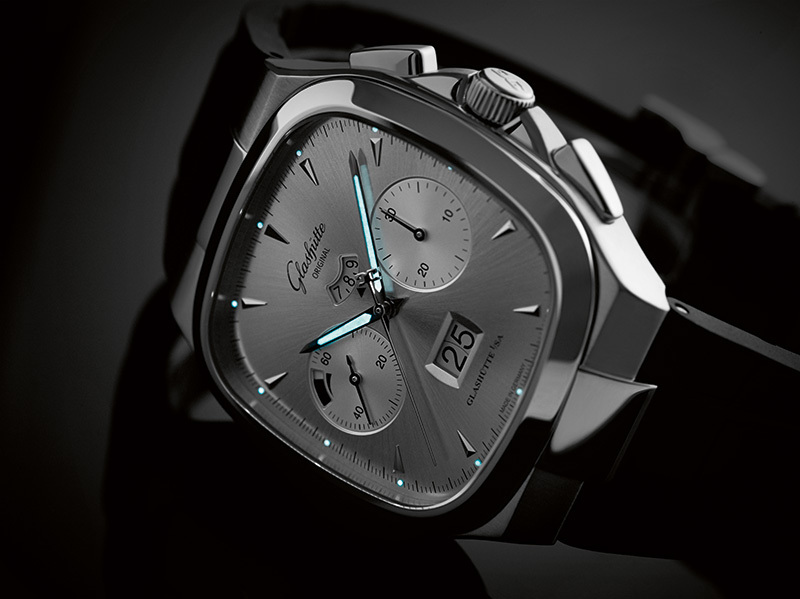 The Seventies Chronograph Panorama Date’s striking case in stainless steel lends it a rather more sporty air. The robust and stylish timepiece is available in three dial versions: in galvanised ruthenium, galvanised silver and a powerful blue. All three dial versions are artfully decorated with a sun-burst finishing. The indexes are fashioned in white gold, as are the hour and minute hands, which are inlaid with SuperLumiNova to ensure legibility in the dark as well. Bracelets in stainless steel, Louisiana alligator leather and rubber complete the contemporary design of this distinctive chronograph. The platinum version of the Senator Chronograph Panorama Date presents a striking, sophisticated dial surface achieved using a traditional technique that lends it a silvery surface, and features a railroad chapter ring, Roman numerals and a surrounding tachometric scale. 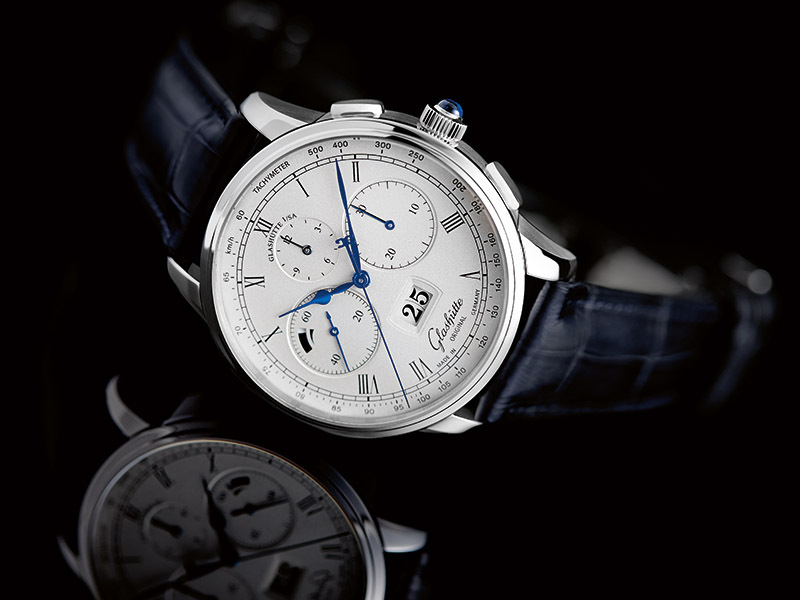 A number of separate steps are required to perfect this sophisticated finish; all are undertaken at the firm’s own dial manufactory in Pforzheim. 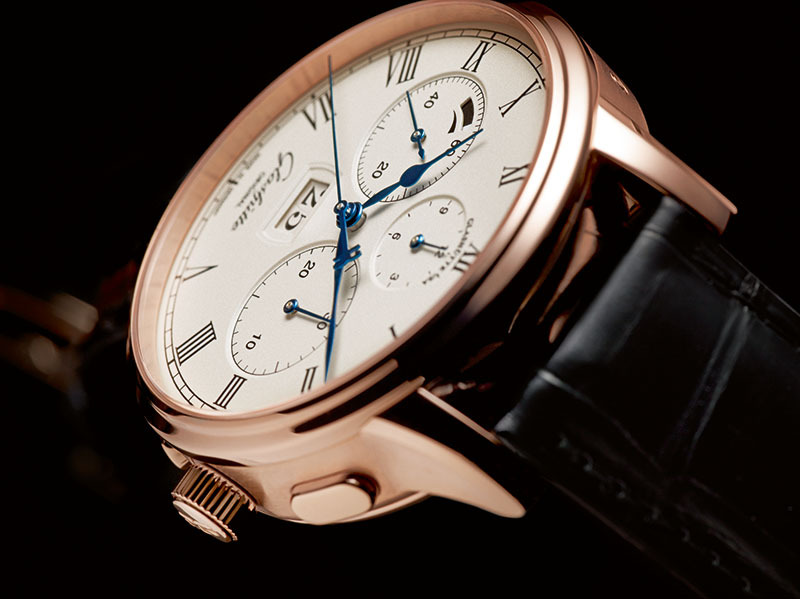 To begin with, the gold dial blank is carefully engraved using a laser. The engravings are then filled with black and fired in the kiln. 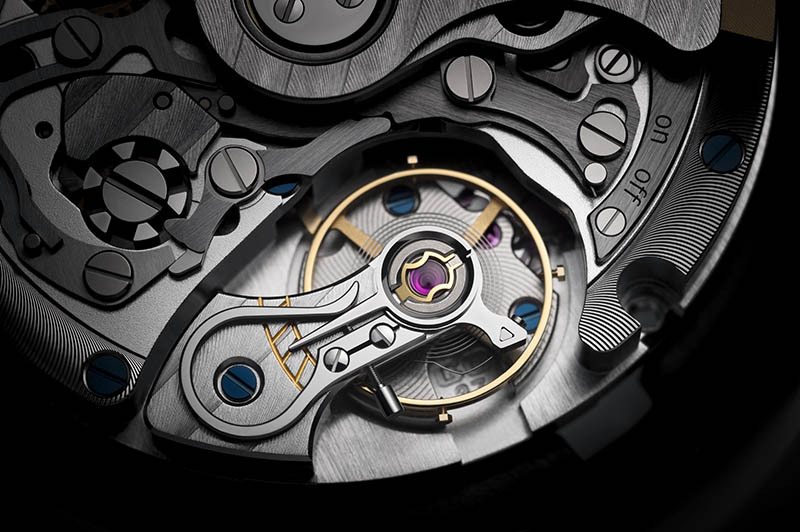 Once prepared in this way, the dial is enhanced in a final step known as „silver plating by friction“. In this elaborate process, a finely calibrated mix of silver powder, salt and water is rubbed with a brush into the carefully prepared dial, resulting in a brilliant silver, evenly shimmering surface. The high percentage of manual labour involved renders each dial is unique. 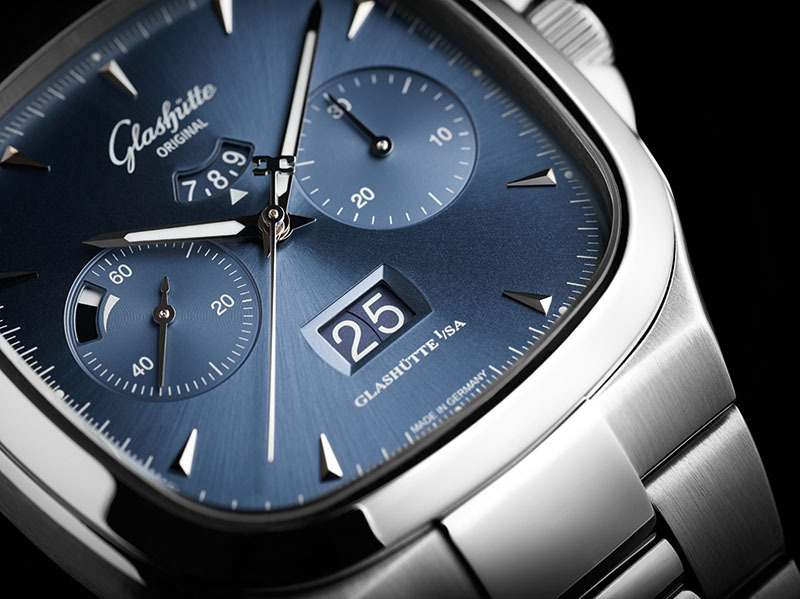 A polished satin-brushed platinum case and blue sapphire cabochon complete the watch’s elegant appearance. Anyone unable to attend a live presentation can learn about the new chronograph in the context of an interactive online campaign. 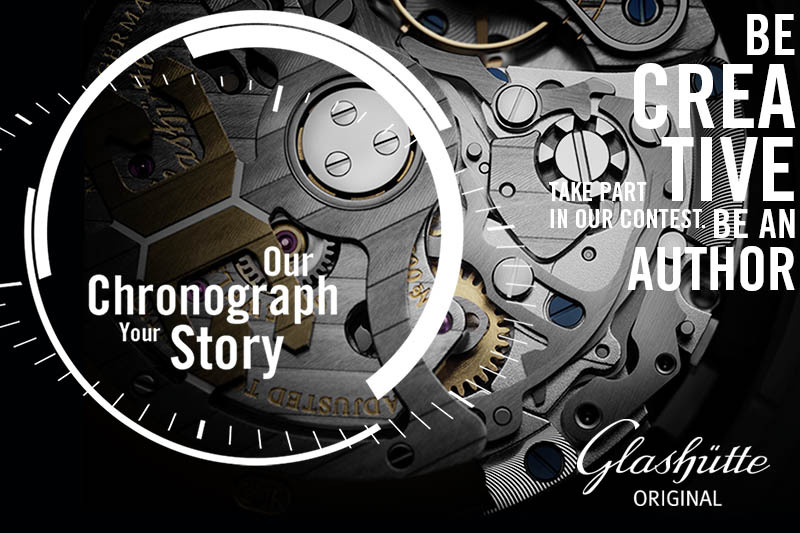 An innovative initiative headlined „Our Chronograph – Your Story. The Art of the Chronograph in Short Stories“ invites fans of watch technology and connoisseurs of the art of German watchmaking to write and submit a short story on one of five themes involving the new chronograph. 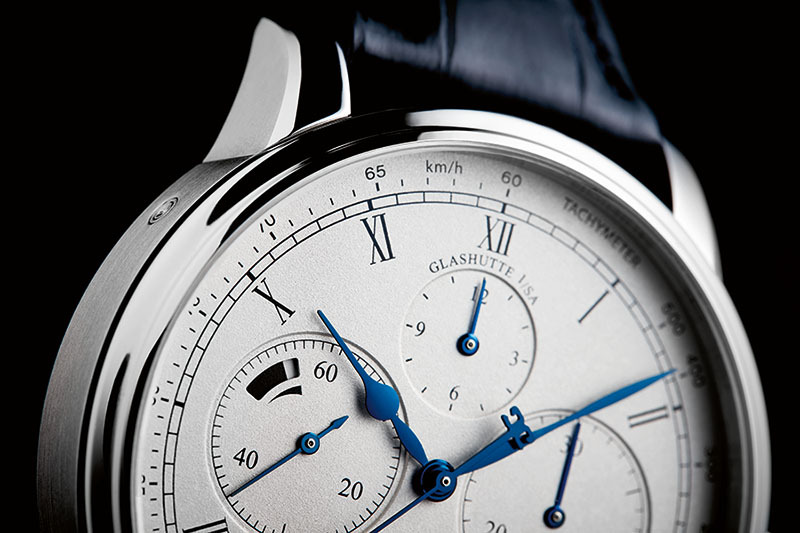 The short stories can be sent by email to TheChronograph@Glashuette-Original.com or submitted directly using the contest form on the web page set up for this purpose at http://the-chronograph.glashuette-original.com. Details of the contest and conditions can be consulted on this page. The short stories submitted will be published on the blog of the web page and can be read and judged by fans, who are asked to choose a crowd favourite, while GO will select another finalist. The 2 winners take home an exclusive invitation to the 2015 Berlin International Film Festival. The short story contest starts on October 10 and runs through December 8, 2014. 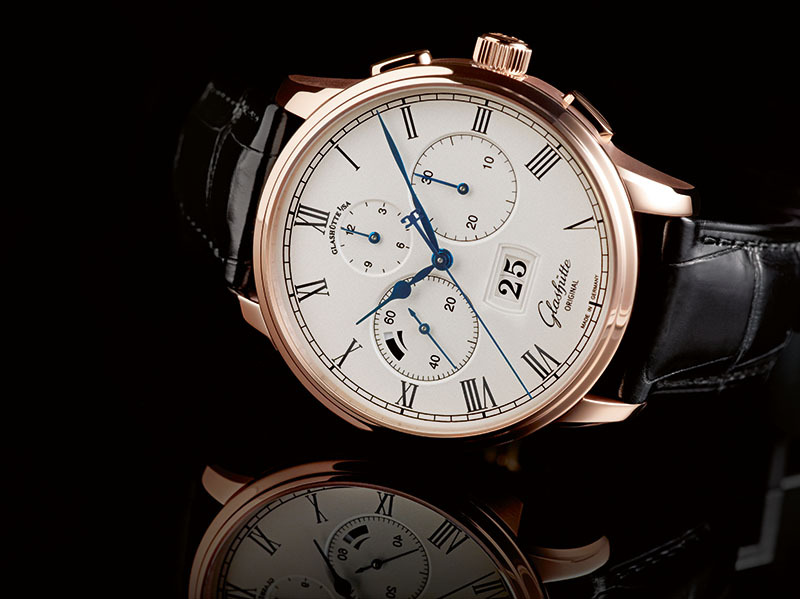 Thanks for the info Rene and Glashütte Original.